Amazing Secrets Of Warp Speed Product Creation! If you've ever wanted to get a little sneaky peak at how someone else's online business works for once, even if it's to see if you're doing things in the right way, now's your chance. Just think, what could you do with four new product ideas twice a week that only take you an hour to conceive and start building? This isn't something that came naturally. This isn't something that I was born with. Learn how to tap into a constant flow of ideas that will never leave you wondering what you can sell next. Discover why your ideas are being stolen as you read this. 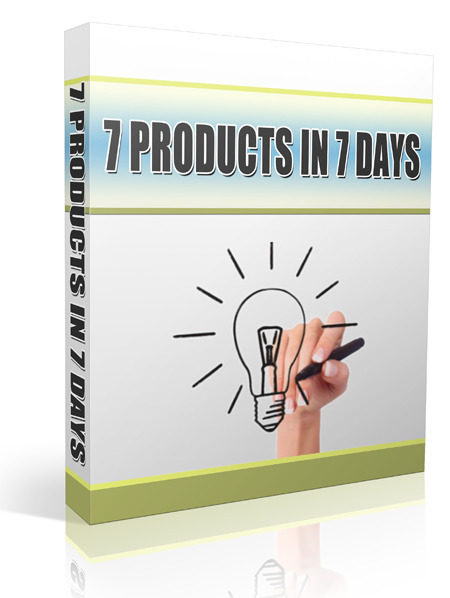 Listen as this will show you exactly how to come up with no less than 5 new viable product ideas every 7 days. Gain the power of hindsight along with the ability to differentiate between the good and the bad of your many ideas.